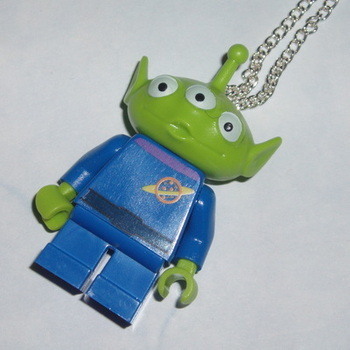 3-Eyed Alien Lego MiniFigure Pendant. This is the fabulous 3-eyed Alien minifigure from Toy Story. New stock has purple splodge on face.